Perfect for the beginner or anyone wanting to try out airbrushing without a huge investment. Can operate of a compressor or can or propellant. 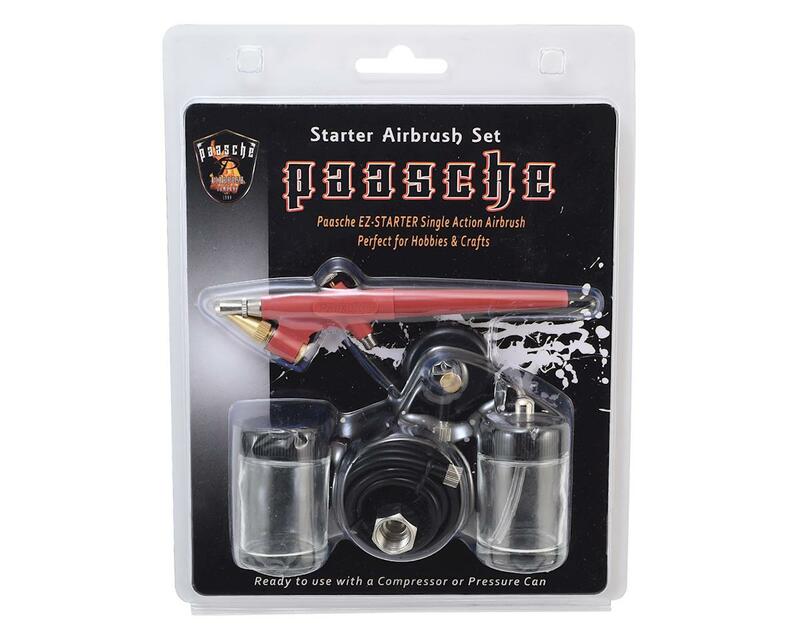 Kit includes: EZ single action airbrush, hose, 1 oz bottle assembly, hose adapter and propel can adapter and wrench.